These are freshly picked green beans from my garden. The joy of picking veggies from my veggie garden and cooking with them is just pure bliss! 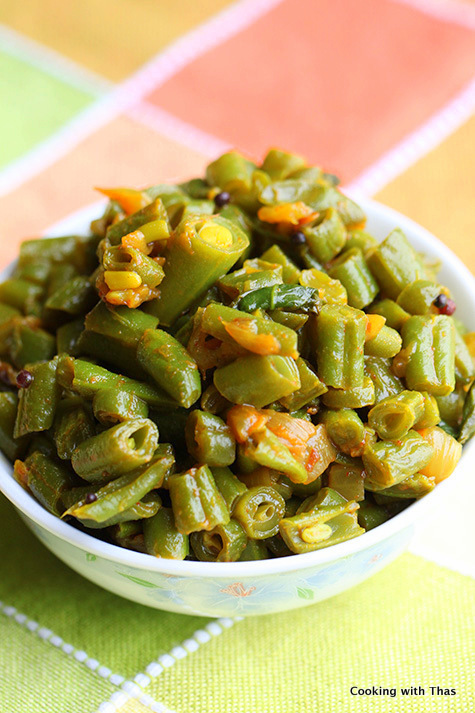 I made a simple stir fry by cooking green beans with shallots and some Indian spices. It was served as a side dish along with rice. 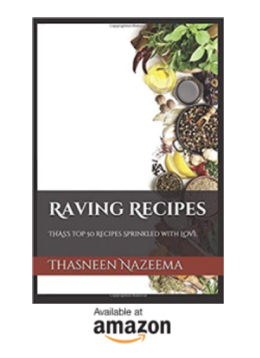 Easy to make and a perfect side dish for rice or rotis. Cut the green beans into 1 inch long. Place a non-stick cooking pan over medium heat. Add oil, let turn hot. Add chana dal and urad dal, saute and let turn golden in color. Add halved dry red chilies and curry leaves, saute for a few seconds. Add shallots or small onions, season with salt and saute till light golden in color. Add green beans, combine well. Add ¼ to ½ cup water, cook covered till beans have turned tender. Open the lid, add chili powder, coriander powder, garam masala and salt, combine well with the green beans. Saute over high heat till all the water dries off. 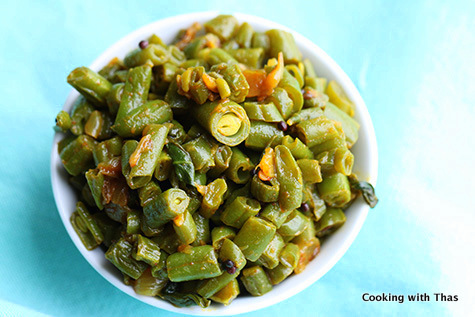 Serve as a side dish along with rice or rotis. If you prefer, you can also add ¼ cup grated coconut after adding the spices and cook for a few minutes.